We all know that ‘Home is Where the Heart is’. Why not stitch and personalize the sentiment with my original contemporary cross stitch design. 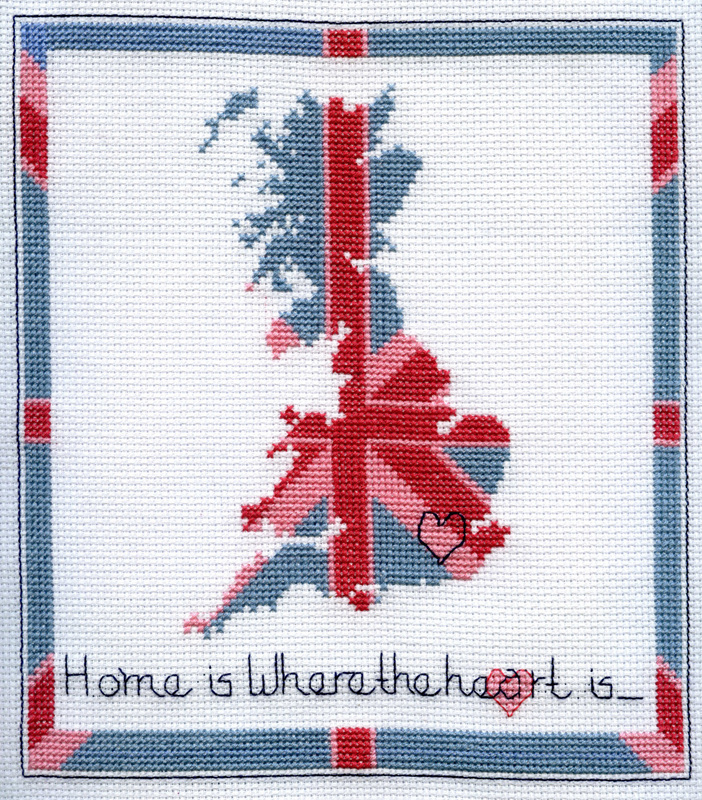 My original design combines this traditional saying with the British Isles map and iconic union jack in a fresh pink and blue colour way. Once completed simply stitch the heart over the spot on the map that means the world to you. Your kit is hand packaged in a pretty gift style bag making it a perfect gift. The kit contains everything you need to make this striking image. All the materials within the kit are of the highest quality, ensuring a beautiful, long lasting finish. An easy to read counted cross stitch chart designed by myself (one square represents one stitch). High quality DMC embroidery cottons, in the four colours needed to complete the picture.